If we have learned one thing about municipal surveillance is that although the goals are similar, the path to achieve them are different. Allow the Leverage team to assist you in getting started. Our knowledge and experience are here to serve you. 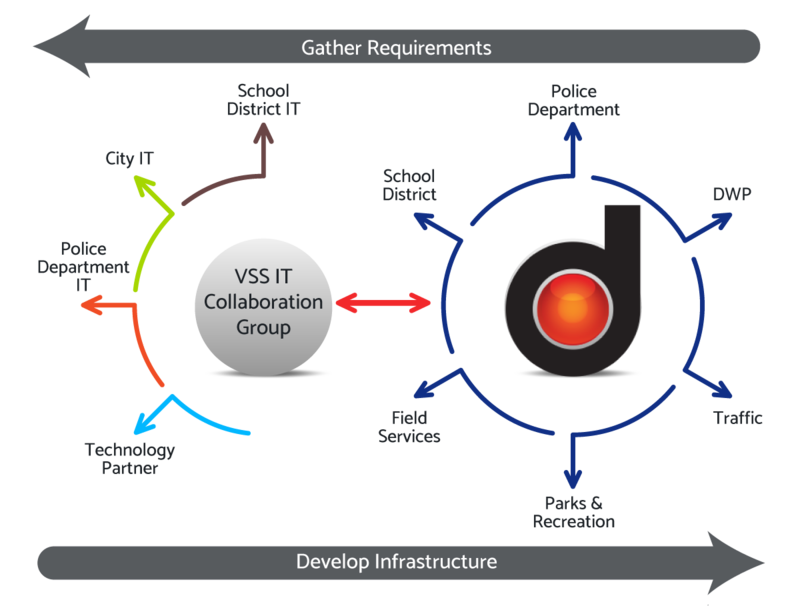 Municipal surveillance that become “Mission Essential” are complex multi-department highly scalable systems requiring true life cycle management. High uptime and reliability are expected. Getting Started requires preparation and planning, but once in motion the Leverage model for life cycle management will ensure long term success. There is no substitute for knowledge and experience, but process management tools such as Detect System Surveillance Manager improve efficiency and effectiveness. The Leverage team assists assessing resources and gathering requirements and creation of a Video Surveillance System Information Technology collaboration Group. Mission Essential operation requires a design that is SMART. Specifically designed to meet current and long-term goals. Measureable – able to report it’s own operational and health status. Attainable through readily available technology. Results meet expectations. Time-proven track record. The rubber meets the road! Concepts are known, the design is complete, and now it comes down to making it a reality. 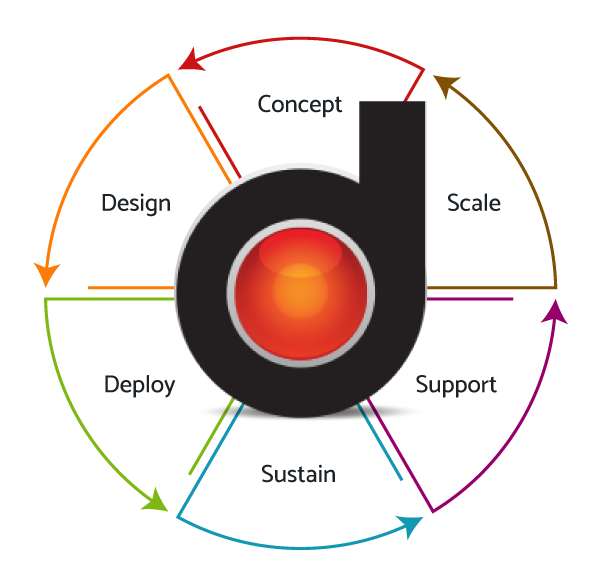 Leverage deployments are managed and deployed to meet requirements through a predefined iterative process based upon what works. Dependency of municipal surveillance mandates high uptime and reliability. Predictive performance and health monitoring is not optional. Leverage support is the answer and Detect SMART is way. The Leverage support team is the answer. With experience, process management and software tools, we are able to ensure preventative measures are taken to ensure continuous operation. If an issues arises so does our support team. When something does come up, we are able to quickly assess and resolve it with our remote and onsite support capabilities. Many Leverage engagements are multiple deployments over many years. Leverage is uniquely positioned to assist in the complex task of scaling municipal surveillance systems. From the scalable peer-to-peer architecture to configuration management software tools and experience, we can expand the capabilities of your municipal surveillance system while maintaining its mission essential status. System Administration – remote performance monitoring, tuning, error reporting, etc. User Support – hours of service, average/guaranteed response time, ticketing system used, resources available, escalation process. 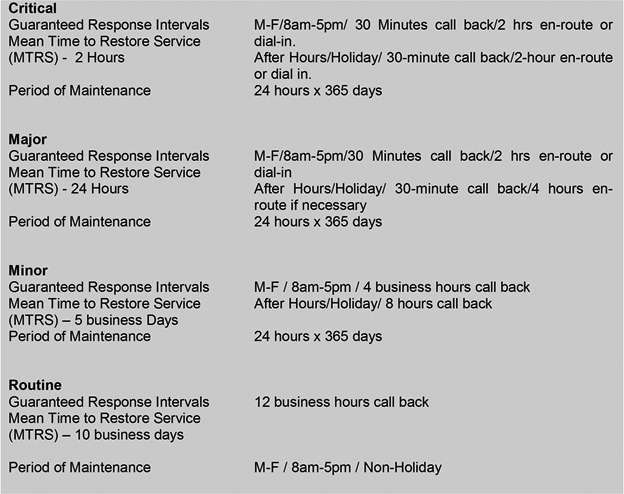 LEVERAGE has a permanent technical support staff in place providing 24x7x365 support within 30 minute response time. LEVERAGE manages support via an ITIL (industry best practices) service and support model. Service level management (SLM) at LEVERAGE is practiced to ensure that our services meet our customers’ requirements for functionality, availability and performance. Our goal is to ensure that the levels of service being delivered meet or exceed the agreed to service levels performance indicators defined in agreements. EMERGENCY Incident: Emergency incidents will be defined as a system failure that has a critical business impact to the customer. The customer is responsible for defining whether or not the impact is critical in nature. If it is determined to be critical, it will be treated as such by LEVERAGE. URGENT Incident: Urgent incidents will be defined to be a fault that affects or threatens any major system component. Typically, such faults have a major impact on system performance, reliability, or user service levels and require the most prompt attention. For the telephony system and messaging system, this includes, but is not limited to, system processors (both hardware and software), local and remote concentrators/switches/nodes, internodal links and associated network equipment and circuitry, attendant consoles, call detail recording equipment, power supplies and battery backup, a fault in any equipment or software that causes loss or substantial deterioration of service to more than ten percent (10%) of the user lines or trunk circuits, loss of a majority of service in any one location, loss of any hardware or software component resulting in the loss of 25% or more lines in a single departmental, loss of any feature system-wide, loss of a trunk group, or a failure in redundantly configured hardware such that redundancy is not functional. ROUTINE Incidents and Other Service-Affecting Conditions: Routine incidents will be defined to be those that indicate a fault or matter requiring human intervention that does not fit into the category of an emergency or urgent incident as defined above. Other service-affecting conditions are those conditions that require maintenance or repair of a System component but do not provide an alarm indication and do not impact system performance or reliability to the extent of a major incident. We typically define service interruption failures with some granularity with the intention of providing overall guidance. In order to provide this framework, we select some metrics that are appropriate to the customer environment, and use those metrics to determine how critical the interruption probably is, and based on that level of criticality, whether or not an emergent type of response is appropriate vs. a scheduled and pre-coordinated response. What follows is our general criteria used to determine emergency, urgent, or routine types of service interruptions, and the expected response times based on those levels of interruption. It should be noted that these levels and response times are certainly not set in stone, and are intended as guidelines. We recognize that there may be some outages that would not fall into the “Critical” level based on just the metrics provided, but perhaps one of the two devices that is affected is a critical location and has a significant operational impact. For those types of scenarios, we look to the customer to identify the interruption level as appropriate. If there are only two devices affected, but the customer identifies it as an “Emergency” outage, it shall be treated as such by LEVERAGE. Remote Phone Support plan: Leverage Information Engineering will remotely diagnose reported system failures, and provide resolution. Remote support is predicated upon establishing VPN connectivity and appropriate access to the Customer’s network. Corrective action may be resolved remotely, or require replacement of Field Replaceable Units. Parts Coverage: All parts are covered under this plan. The only exceptions are standard consumable items such as batteries, access cards, etc. Failed components will be diagnosed by Leverage and replaced by the customer. Items Not Covered: Any damage caused by misuse, abuse, accident, disaster, fire, flood, water, wind, lightning and Acts of God. Also, any items designed to fail in order to protect equipment, such as power and/or lightening suppressors. On-Site Support plan: Leverage Information Engineering will remotely diagnose reported system failures, and provide resolution. Support is predicated upon establishing VPN connectivity and appropriate access to the Customer’s network. As necessary, Leverage Information Engineering will deploy an Engineer on site for resolution. Engineer on site: Next Business Day if determined by remote diagnosis. Camera Cleaning: Leverage offers a camera inspection and cleaning service. Please contact your Leverage Account Manager to learn more about this service. Camera Cleaning and Inspection can be added to any Support & Maintenance Agreement. The Leverage Team is proud of the established business practice we have developed which allows us to engage every client with the highest level of professional service available. We adhere to this same template with all our clients from the well-established, long-term customer to the first time, potential client who may only be researching the feasibility of a municipal surveillance platform. We put forth all this effort because we truly believe that a well-designed, properly installed, unified municipal surveillance platform adds significant benefit and improved quality of life to the community where it is deployed. We believe the product and service we offer will make a difference in your community and we want to make you a believer as well.